The Department of Justice confirmed yesterday what many of Ferguson’s residents have been saying, and protesting against, for months: the city racks up millions of dollars each year in fines and court fees by illegally harassing its black population. What the federal government did not say, however, is that the practice of criminalizing black people to raise money for police and court systems is not rare; local governments across the country have been doing it for years—ironically, to offset the spiraling costs of the incarceration boom of the past three decades. 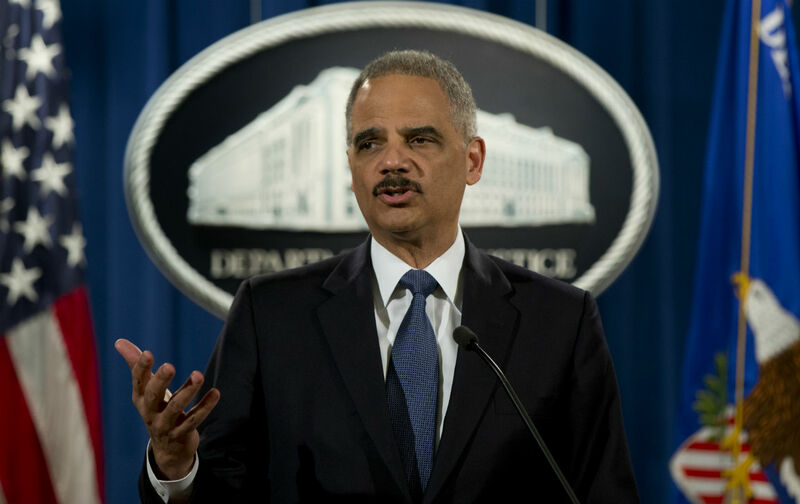 In an afternoon press conference, Attorney General Eric Holder described Ferguson as “a community where local authorities consistently approached law enforcement not as a means for protecting public safety, but as a way to generate revenue.” Holder said the pressure to keep revenue flowing has generated constitutional violations at “nearly every level of Ferguson’s law enforcement system”—including inappropriate use of force. In Michigan, where residents are often jailed over unpaid traffic offenses, the ACLU profiled a mother named Kawana Young in a 2010 report on debtors’ prisons. Young received three arrest warrants for three previous traffic violations: driving without a license, playing her music too loud and having an expired tag. She was jailed five different times because she was unable to pay hundreds of dollars in fines. In Michigan—unlike in Ferguson—data is not yet available on the racial breakdown of who is hit with these fines. But racial bias in traffic stops has been shown in cities across the state. In some towns, such as Ferndale, black people made up 60 percent of traffic stops, even though they’re less than 10 percent of the town’s population. In Pennsylvania, parents are routinely fined for their kids’ truancy. When one child has more than three unexcused absences from school, parents must attend a truancy hearing where a judge may fine the parent $300, and also demand the parent pay court costs and fees related to the hearing. One school district racked up $500,000 in truancy fees during the 2008–09 school year—prompting the Public Interest Law Center of Philadelphia and the NAACP to file a lawsuit against the district. Not only can a parent be fined, failure to pay can result in jail time—and it has for hundreds of parents. Pennsylvania isn’t alone; other states, such as Texas, arrest and jail kids who have outstanding truancy fines when they turn 17. The Department of Justice offered twenty-six recommendations for Ferguson’s police and court system, including ending its reliance on arrest warrants to collect fines. The Civil Rights Division will now begin negotiating a reform plan with the city, which will be monitored by a court. The flames of Ferguson following Michael Brown’s death captured the country’s attention, and brought the Justice Department to town. But what of all the other small and big cities across the United States engaging in the same practices? If we are to look towards Ferguson as a lesson, changes may come only following a sustained grassroots movement from those directly affected.